Natural gas is one of the key fuel inputs for electric power generation. New technology, particularly combined-cycle technology, has made the natural gas power plant the energy system of choice in recent years-and gas remains a leading fuel of choice for future power plants as well. Power generation is one of the leading natural gas consuming sectors in the Northeast region. Air emissions from power generation in the region have dropped significantly in the past 15 years thanks in great part to the use of cleaner-burning and more efficient fuels such as natural gas. Shown here is a new natural gas combined-cycle power plant (674 MWs) in Salem, MA, that began operations in mid-2018. The comparative advantages of natural gas power generation include higher efficiency, lower heat rate, shorter construction lead times, and reduced air pollutant emissions compared to other fossil fuels. The rise in natural gas use in power generation is leading to lower air emissions, from sulfur dioxide to carbon dioxide. 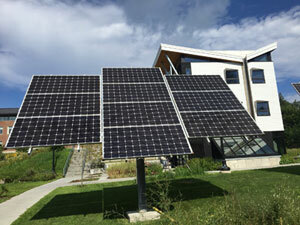 In October 2018, in an issues brief, U.S. EIA noted: "U.S. electric power sector carbon dioxide emissions (CO2) have declined 28% since 2005 because of slower electricity demand growth and changes in the mix of fuels used to generate electricity...The power sector has become less carbon intensive as natural gas-fired generation displaced coal-fired and petroleum-fired generation and as the noncarbon sources of electricity generation-especially renewables such as wind and solar-have grown. The substitution of natural gas for other fossil fuels has largely been market driven, as ample supplies of lower-priced natural gas and the relative ease of adding natural gas-fired capacity have allowed it to pick up share in electric power generation in many markets. In 2016, natural gas generation surpassed coal as the largest source of electricity generation." At the regional level, the same dynamic is in play. 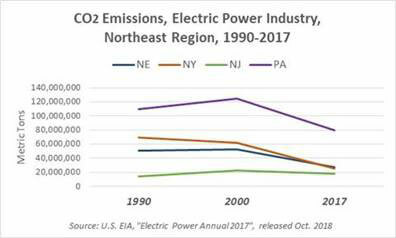 In New York State, from 2000 to 2016, NY ISO reports that emissions rates from the power sector dropped by 43% for CO2, 87% for NOx, and 98% for SO2. ISO-NE reports that from 2001 to 2017, total emissions from power plants in New England dropped by 98% for sulfur dioxide (SO2), 74% for nitrogen oxides (NOx), and 34% for CO2. 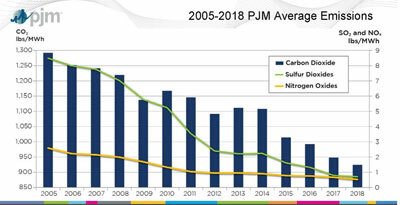 PJM emissions data indicates a significant drop in SO2, NOx and CO2 for its entire region, which includes declining trends for all three pollutants in both New Jersey and Pennsylvania. Natural gas is positioned to be among the leading fuels for electric power generation in the next decade (and beyond), along with renewables. Gas is also a key fuel input for new technology options like fuel cells, combined heat and power, and distributed generation. Natural gas is also seen as the key "back-up fuel" to offset the variability and intermittency of wind power and other renewables. Gas plants today remain the leading fuel type for new proposed power generation capacity in the generator queues in New Jersey, New York and Pennsylvania, and represent the second-highest fuel in the queue (behind wind) in New England. Some examples of recently-added generation include the 805 MW CPV Towantic plant in Oxford, CT (June 2018); the 674 MW Salem Harbor station in Salem, MA (June 2018); and the 680-MW CPV Valley Energy Center in Wawayanda, NY (October 2018). "The portion of New York's generating capability from natural gas and dual-fuel facilities grew from 47% in 2000 to 58% in 2018." "Reflecting economic and public policy investment signals, recent generation additions have primarily been natural gas-fueled in downstate New York and wind-powered in upstate." In its 2017 "Regional System Plan," released in November 2017, ISO-NE stated that "natural-gas-fired generation's proportion of the system capacity mix is expected to grow from 44.5 % in 2017 to approximately 50.9% by 2020 and 56.0% by 2026. Further retirements of coal and oil generators are expected after 2020 due to generally low natural gas prices, renewable energy additions, and pending environmental regulations. The Pilgrim nuclear plant in Massachusetts is scheduled for retirement in 2019, and uncertainty surrounds the future of 3,300 MW from the region's remaining nuclear plants. Therefore, the current situation where natural gas fuel prices typically set the marginal price for wholesale electricity is projected to continue over the planning horizon." The increase in U.S. domestic production of natural gas engendered a much lower commodity price position for the fuel in recent years. This is good news for consumers of natural gas at all end-uses, including power plants. However, while the regional price can be quite low at certain months of the year, the delivery price of natural gas to Northeast markets can be quite volatile and high during strong-demand periods of the summer and especially the winter. The Northeast spot price volatility reflects delivery constraints during high-demand periods of intense cold (or even hot) weather. Natural gas utility customers are generally protected from the daily impact of spot prices, thanks to long-term contracts and storage resources held by local gas distribution companies. On the other hand, the power market in the region operates with high levels of interruptible gas capacity and is thus subject to spot market fluctuations, and that in turn impacts electricity customers. Even with variations in winter weather, natural gas spot price fluctuations can have a real impact on electricity prices where natural gas sets the margin (as in most of the Northeast). In March 2017, the U.S. EIA observed: "Historically, both the Boston and New York natural gas markets have experienced winter price spikes because of pipeline constraints during periods of peak demand. Natural gas pipeline expansion projects that were completed in recent years may have reduced, but did not eliminate, sharp price increases with anticipated cold weather." The Northeast region has experienced periods of the highest gas and power spot market price volatility in the U.S. over several recent winters - in 2013/14, 2014/15, and 2017/18. The prolonged cold snap from late December 2017 through the first week of January set spot market price records, reflecting high demand and system constraints. Looking ahead to the winter of 2018-19, U.S. EIA observed in Oct. 2018 that "In the case of very cold temperatures, Northeast electricity markets could see constrained natural gas supplies into the region causing electricity generation to be supplied by more expensive fuels, such as petroleum, which could contribute to higher wholesale electricity prices." As noted, the regional power generation fleet, already highly reliant on natural gas, is positioned to become more so in the years ahead. There are however several unresolved power market issues that continue to challenge the market. 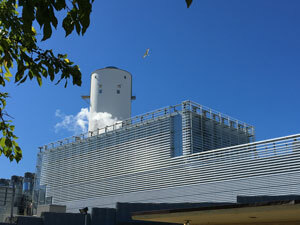 One is the retirement of many non-gas units in the region. In New Jersey in 2016 PSEG announced the retirement of its last two coal units, noting the competitive market pressure presented by low natural gas prices. In Vermont in 2014, Entergy retired its nuclear plant; in Massachusetts in 2019, it will retire its Pilgrim nuclear facility, and in New York State in 2021, it will retire its Indian Point nuclear facility. In 2017 in Massachusetts, Dynegy closed the large Brayton Point coal plant. Low natural gas prices in the power market is cited as one of the key determining factors in the recent and planned retirement of many fossil and nuclear plants in the region. At the same time, public policy in several states in the region is clearly prioritizing non-fossil fuel units for future generation, toward greater integration of clean energy power sources. Nevertheless natural gas, which today serves as the backbone of the power system regionally, will continue as the backbone while the Northeast region builds a system more reliant on "clean energy." In early 2017, the head of the New England electric grid operator observed in Commonwealth Magazine that "The region's reliance on natural gas will only intensify... While some argue that the region is too dependent on natural-gas-fired power plants, the future hybrid power system will require reliable, flexible back-up power-exactly what efficient natural-gas-fired generators provide." The balancing of renewables and natural gas is underway in all the Northeast power systems. For example, in March 2017 PJM released a study on system reliability which concluded that even with the addition of more natural gas and renewables, its system would remain reliable. The analysis identified "no limit to the amount of natural gas-fired generation that could be added to the system before it affected reliability." And in December 2017 NY ISO released an assessment of the impact of the pending retirement of the Indian Point nuclear facility on the state's future power system reliability. It found that the system would be fine assuming that natural gas power plants, currently in development in the lower Hudson Valley region, came online in time. The NY ISO stated: "the reliability of the existing system could only be maintained if sufficient replacement sources of power are added within the Lower Hudson Valley (Zones G-J)." As noted, the generating plants under construction referenced in the analysis are natural gas-fired. However, as the region continues to rely on natural gas for baseload generation, and for providing support for more intermittent resources like renewables, the lack of adequate pipeline infrastructure to meet power sector needs remains an unresolved issue - most notably in New England. Most power generators in New England do not contract for firm gas pipeline capacity and instead rely on "if and as available gas" non-firm capacity, or, in some cases, capacity held by third parties. Pipeline capacity is added to meet the needs of gas customers who desire and are willing to execute contracts for such firm service. This reliance of the power system on non-firm gas transportation capacity for the majority of its gas units has proven very challenging in several recent winters, including the winter of 2017/18. The FERC noted in its pre-winter energy market assessment in October 2018: "Basis futures prices in New York City and Boston averaged $6.03/MMBtu and $8.21/MMBtu, up $0.47/MMBtu and $3.40/MMBtu respectively from last year. This suggests a market expectation that both regions may face pipeline transportation constraints this winter." More than a decade after the January 2004 "cold snap" first exposed the regional power system's reliance on interruptible natural gas deliveries, the New England gas-electric reliability challenge remains essentially unresolved. The natural gas and electric system operators in the Northeast continue to increase communications and coordination. NGA and ISO New England, for instance, jointly administer an Electric & Gas Operations Committee (EGOC) to increase understanding and information exchanges (on publicly-available information). 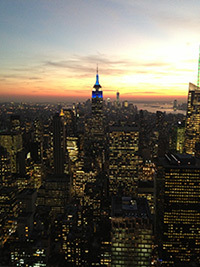 The EGOC includes the NY ISO and PJM as well as other stakeholders. NGA also updates the electric grid operators regularly regarding the coordinating work of NGA's Gas Supply Task Force. With natural gas remaining a significant fuel going forward for electric generation, coordination efforts such as these - both regionally and nationally - are to be encouraged.